To speak about a person, one should know about him. They should observe him. They should travel with him. Similarly, if one intends to speak about the success a person has achieved, one has to know the hard work that has gone into it. One has to know the hardships faced by him. And one has to know the level of his commitment and dedication towards his destination. For many people, ‘Dil Raju’ is often known as a successful producer and distributor. But very few know about his undeterred dedication and hardworking nature. After starting his career as a distributor, Dil Raju faced many failures. There was a time, where he strived hard for his daily expenses. Then came the eventful day in his life. On 25th December 1997, his distributed the film Pellipandhiri, starring Jagapathi Babu and Raasi. The film went on to become a blockbuster hit and brought back smiles on the face of Dil Raju. The trust his family, his dearest friends; Lakshman and Sirish, and others had on Dil Raju finally paid off. Since then, there is no looking back. Dil Raju, Lakshman and Sirish established the iconic Sri Venkateswara Film Distributions. The newly formed distribution company, SVC distributed super hit and blockbuster films like Oke Okkadu, Nuvvu Vasthavani, and Sakhi. The trio did not settle for the success. They wanted to prove their determination by producing their own film. This is how ‘Sri Venkateswara Creations’, or simply SVC, emerged in the year 2002.‘Nothing comes easy, and something you earned hard doesn’t go easy’. This idiom aptly suits the trio – Dil Raju, Lakshman and Sirish. As the trio was eagerly waiting for the right script to produce their first feature film, they found VV Vinayak, who shocked everyone in Tollywood with the blockbuster hit Aadi. Soon, SVC produced its first feature film ‘Dil’, directed by VV Vinayak. The film became a super hit at the box office and went on to mark the first milestone for SVC, which later became a partto a great success story. The film had such great impact that, he became ‘Dil’ Raju henceforth. From there one, apart from being a production company, SVC also became a home for many aspirant directors like Sukumar (Arya), Boyapati Srinu (Bhadra), Bommarillu (Bhaskar), Vamsi Paidipally (Munna), Srikanth Addala (Kotha Bangaru Lokam), Vasu Varma (Josh), and Venu Sri Ram (Oh My Friend). Dil Raju had back-to-back hits and achieved hat-trick with Dil, Arya, and Bhadra. Post his hat-trick with the first three films, the ‘Dil Raju’ lead trio did not take the easy path. It stood to its core values; ‘gifting Telugu audience a memorable cinematic experience. The teamed up another Debutant, Bhaskar, who previously worked for Arya and Bhadra films. What came to be known later was a ‘cult’ classic in the form of Bommarillu. Forget about shattering box office records, and gaining immense popularity, the film is still intact in every household of Telugu audience. No wonder the film went on to win Filmfare award for the Best feature film in Telugu and Nandi Award for the Best Feature film (Gold). Sri Venkateswara Creations produced 15 films between from 2007 to 2016, beginning with Prabhas starrer ‘Munna’ to Sai Dharam Tej starrer ‘Supreme’. Like any other production house in the film industry, SVC too had seen highs and lows all along its journey. Whether a film fared well or not, SVC stuck its mood of filmmaking and went on to treat Telugu film audience. The films that failed at the box office remained as ‘speed-breakers’, while hit films just added one more jewel to their legacy. Apart from that, nothing much has changed with SVC in recent times. 2017 – The year of greatest sorrow and unbelievable triumphs! Then comes the most eventful year, 2017. A year every producer aims to have in his lifetime. If not in this lifetime, at least in the next life. Such is the year for the SVC Production house. ‘Dil’ Raju and his team managed to deliver 6 hits this year at the box office. Few remained as hits, while others went on to become super hits and blockbusters. ‘Dil’ Raju, who believes that story is the king, took a brave decision by releasing ‘Shathamanam Bhavathi’ amid Megastar Chiranjeevi’s re-entry [and 150th] flick ‘Khaidi No.150’ and Natasimha Nandamuri Balakrishna’s 100th film ‘Gautamiputra Satakarni’. Shatamanam Bhavathi went on to become a sleeper hit among the two magnum opus films. The film created history by receiving a national award. It is after 27 years; a Telugu film has received the national award. The second film in 2017 from SVC production house was Nani starrer ‘Nenu Local’. Given Nani’s acting, and charm, and heroine Keerthi Suresh’s acting, along with entertainment elements, the film went on to become a super hit at the box office. After Nenu Local, Dil Raju was quite determined to have a hat-trick hit. For pre-production work of the movie ‘Fidaa’, Dil Raju and ‘Fidaa’ team visited the US. It is during this time, Mrs Anitha, Dil Raju’s wife passed away. Mrs Anitha passed away following a fatal cardiac arrest. Mrs Anitha was admitted to a private hospital [in Hyderabad] after she complained of chest pain. Despite the valiant efforts of the doctors, she breathed her last. Dil Raju was broken mentally and psychologically with the loss of his wife. She has been his pillar of strength through thick and thin times. 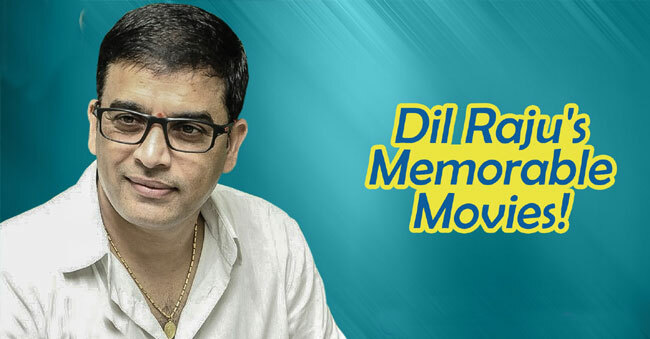 Dil Raju always stated that ‘Family and Cinema’ are his world. 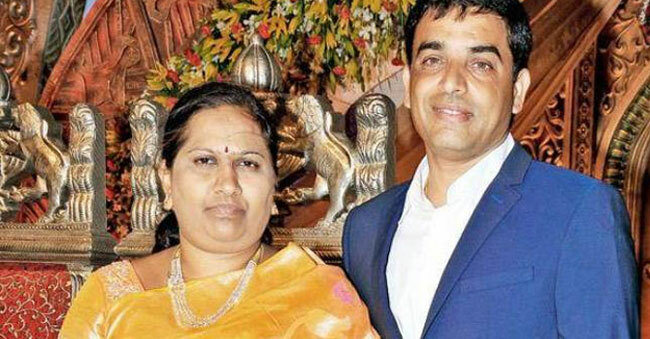 With his wife, who he had a journey of over 20 years, no more to be seen, Dil Raju was taken back. He hid his tears and held his emotions and ensured that the shoot goes one. He looked at the interest of hundreds of workers who might be affected if a movie is stalled. He ensured that the shooting was not delayed, and released ‘Duvvada Jagannadham’ (DJ) starring Allu Arjun and Pooja Hegde on 23rdJune 2017. Given Allu Arjun’s acting and dance movies, along with entertaining dialogues and action scenes, the film went on to become the biggest hit in Allu Arjun’s career. Pooja Hegde’s glamour too added to the eventual success of the film. The film was highly praised for its production values and supporting star cast. What followed after DJ was one of the biggest hits in the year 2017. ‘Fidaa’ directed by Sekhar Kammula on SVC Banner rocked the Telugu Box Office and stole the Telugu audience hearts equally. The film established debutant heroine Sai Pallavi as a star heroine overnight. The film brought in huge profits for Dil Raju and team. People were so mad at the film that, many young women asked their boyfriends to call them as ‘Bhanumathi’ [character played by Sai Pallavi in Fidaa]. The film earned Rs. 90 crores (Gross) and Rs. 48 crores (Share) on a modest budget of Rs. 13 crores. During ‘Fidaa’ shooting itself, Dil Raju made preparations for a new movie with Mass Maharaj Ravi Teja. Ravi who is coming back after a 2-year break was more than delighted to work under the SVC banner. Ravi was signed for a movie under the direction of Anil Ravipudi. Ravi Teja played the role of a ‘blind man’ who attempts to save a girl [heroine]. 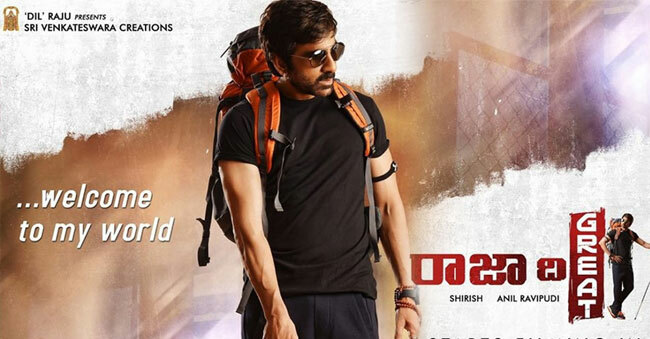 The film truly marked a grand entry of Ravi Teja once again and had a good run at the box office. Any producer can get over ambitious with 5 back-to-back hits in a calendar year. But Dil Raju clearly stood his ground. Yes, he was ambitious but was never over ambitious. 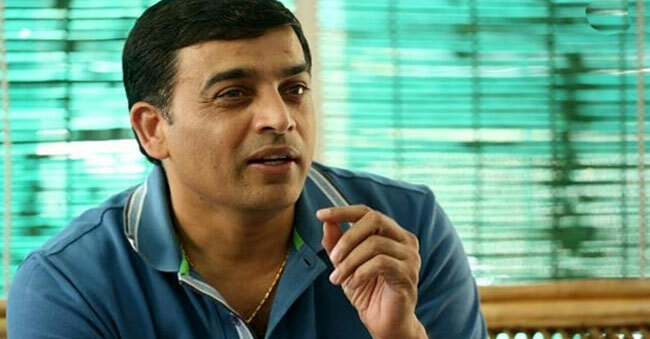 Dil Raju clearly knew what kind of film he would be making and what needs to be done to achieve the ‘impossible’; a double hat-trick in a calendar year. He collaborated with Nani for the second time in the calendar year. Under the direction of Venu Sriram, Dil Raju presented a memorable gift to the Telugu audience in the form of ‘MCA – Middle Class Abbayi’. The film touched on the largely forgotten relationship between Sister-in-law and brother-in-law. The film also marked second successive collaboration of Dil Raju and ‘Fidaa’ fame Sai Pallavi, who acted as the heroine in the film. 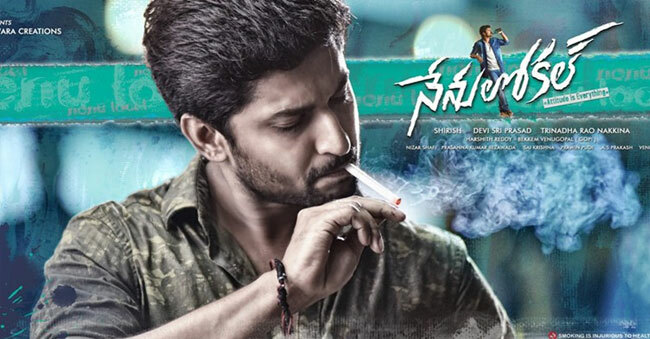 Given the strong family sentiment, and a stellar performance from Bhumika Chawla, who acted in the role of a sister-in-law to the hero, Nani and Sai Pallavi, the film became the biggest hit in Nani’s career. The film netted Rs. 15 Crores on its opening day. The three letters – SVC – became the past, are the present and will be the future of many directors and film technicians.